Evening Primrose Oil is a famous source of Gamma Linolenic Acid (GLA) (Omega 6), Linoleic Acid (Omega 6) and Oleic Acid (Omega 9). 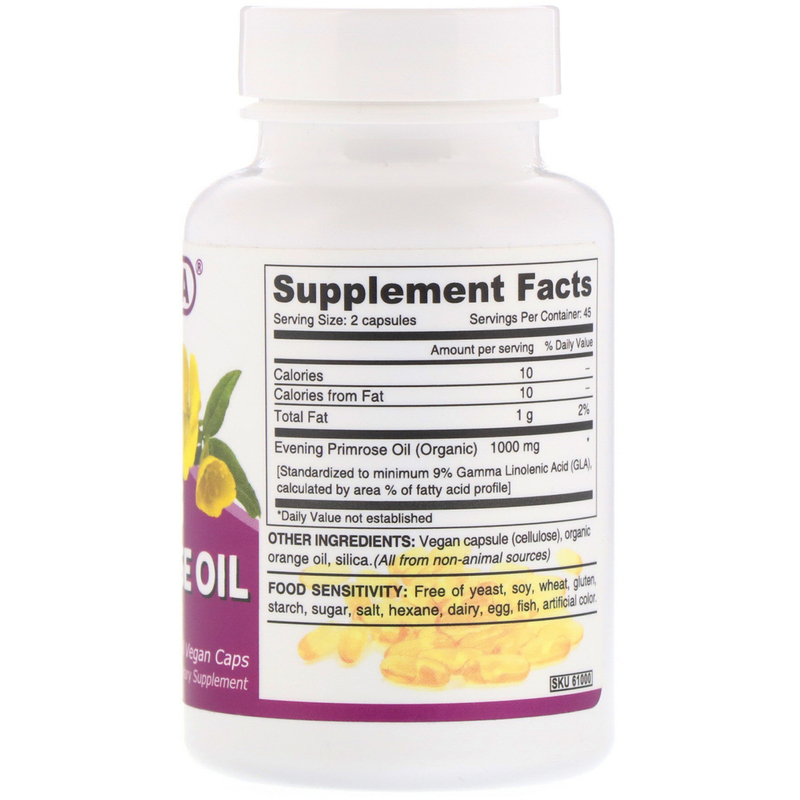 These are essential fatty acids that are important in maintaining the structure of human cells. 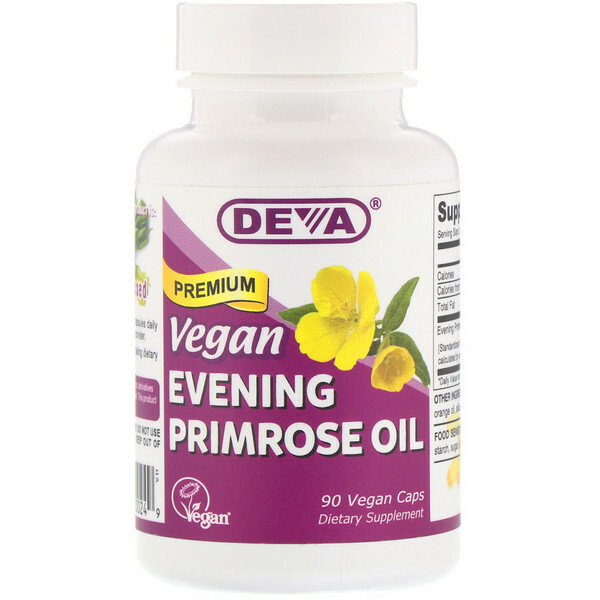 The Evening Primrose Oil used in our product is organic, cold-pressed and unrefined. It also comes in vegan capsules that are made from plant cellulose instead of the commonly used gelatin. 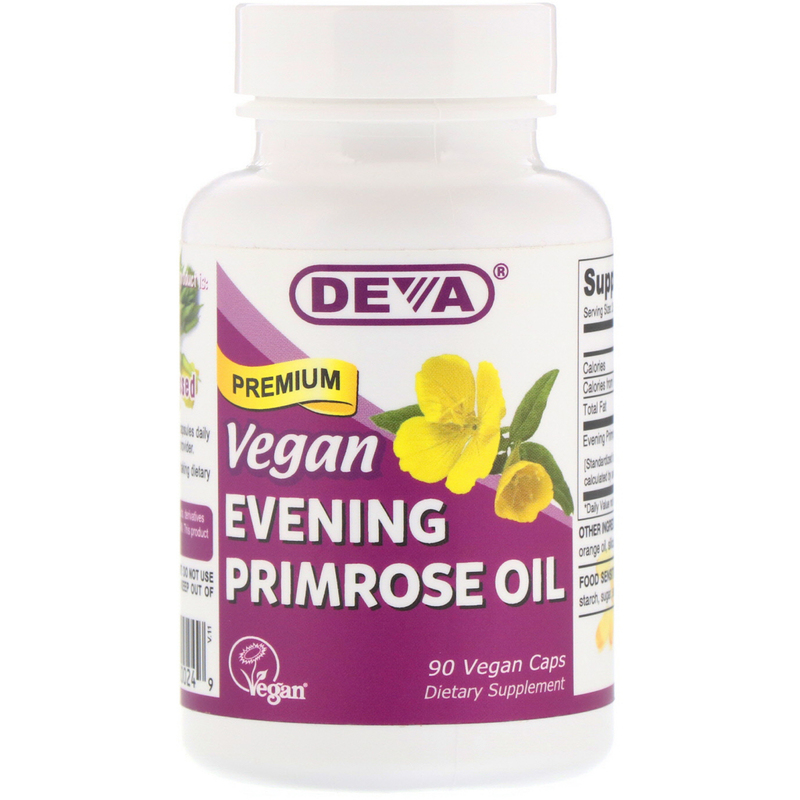 DEVA Evening Primrose Oil is 100% animal free, and guaranteed for purity, freshness and labeled potency. Remember all DEVA Products are 100% vegan, vegetarian and are registered with the Vegan Society, the non-profit organization that actually invented the word "vegan". For adults, take two (2) vegan capsules daily with a meal or as directed by your health care provider. Food Sensitivity: Free of yeast, soy, wheat, gluten, starch, sugar, salt, hexane, dairy, egg, fish, artificial color. Store in a cool, dry place. Tamper Evident: Do not use if imprinted seal under cap is broken.